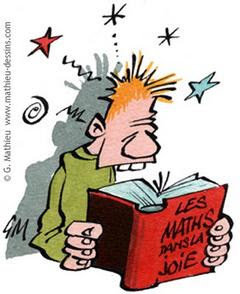 St Bloggie de Riviere: Oh no it's maths! I accepted long ago that I'm crap at maths. Not so crap that I didn't get my maths O'Level 30yrs ago, but I pulled out all the stops just long enough to get through the exams then rejoiced that I would never again have to grapple with algebra. Unfortunately, my eldest does not appear to have inherited his father's maths skills. I'm not sure why passing on maths follows the lowest common denominator always favouring the side of the family that is worst at it. Or it does in my family, anyway. My father read maths at university - Cambridge no less - but did he share his gift with his 3 offspring? Did he fiddlesticks, he kept it all for himself and his children had to fight their way through arduous, incomprehensible homework and crappy maths results for years. My mother is crap at maths. Nuff said. So, following the maternal line, my eldest has inherited his mother's maths ability, poor lad. I was so hoping he'd be spared such punishment, especially here in France where so much store is laid by being able to do it. If you can't do maths, you're a loser. One of the disadvantages of being divorced is that you suddenly become the sole on-hand source of help with homework. This is why my eldest comes to me with his problems, me whose heart sinks at the sight of an 'x'. I go sort of blind, my mind recognising trouble and so shuts all doors and windows, locking everything firmly down. The only way I can hope to help is to make a huge effort to open everything up again, and try and see the problem without running for the hills. It hadn't been too bad in the past as he was young enough not to have encountered too much that was as recognisable as Chinese. As he gets older, however, we are entering dangerous territory. Today he had algebra, with lots of n's and x's and working things out. I willed him away to work it out himself, but it was akin to Chinese for him - how I do understand! So it was that I heard the fateful words "Mum, can you help me? I don't understand a THING!" So there are two conclusions: 1) I'm not totally crap at maths, just almost totally; 2) my son is worse. I can see trouble ahead. If it gets really dire, I'll call in the heavy mob. No, not their father, he tends to react like my father when I couldn't do my maths homework. He got all cross and then very cross and then livid and it just made everything worse. No, I'll ask my TWDB for whom maths holds much less mystery, and, equally importantly, he is able to withstand stupidity and incomprehension for a slightly longer period - at least 5mins. I hope my youngest is better at it. I'm not sure I can cope with ten years of maths angst. lol, I'am so terribly bad at maths, that 100 years ago when I took my O levels, and where the 12 other sujects were flatteringly marked - for maths it was said "pity that no NEGATIF marks exist.. I still count on my fingers and have to use the machine to do anthing for accounts etc! I found that the method of teaching Maths in France was completely different so the child and I used to have the most horrendous arguements. I ended up with him having private tuition which worked brilliantly. I might yet resort to that, DD, (again) but he is now in a private school so I am rather baulking at the idea of paying twice. Unfortuanately no one has, as yet, proved that there is a 'maths gene'. It's something you can do or not, but there are ways to get better. A good teacher is a good start, but oh, I've just read your latest post about French teachers. Doesn't look promising. There are links to other sites that could help your son; especially with the 'x' stuff! Thanks, Working Mum. I tried the Waldomaths.com site and couldn't even do the first question of the first level. Those sliding things are a bit incomprehensible. I think that maths ability is more complicated than "you have it" or "you don't have it". I did Pure Maths A-level (got a B) then went on to do Maths and Computing. During my first year I realised that while I still found a lot of the maths enjoyable some just wouldn't go in. It was like hitting a mental wall. It that point I gave up on maths. Two of my children are perfectly able but don't enjoy maths. The third finds maths easy and enjoys it too. Nick, I hit that mental wall sometime around the age of 13. I just don't do figures (or x's)! My eldest is enjoying maths this year (2010) because he has a good teacher who he likes. This seems to be an essential part of maths learning for those who are not naturally able. It also rather puts the mockers on the idea that maths is a great leveller because if you go through your school career with dodgy teachers, you'll always hate it and be average at it. It's not culture that separates the goat from the sheep, but a natural aversion to the subject compounded with incomprehension of the teaching and loathing of the teacher. The quality of maths teachers is critical. A lot of children switch off if they don't like the teacher. Maths more than almost any other subject is built on what has gone before to such an extent that if you don't understand a topic it is very hard to understand any of what follows. If you are ill or switch off for a term it can be very difficult to "catch up". This makes maths more vulnerable to students giving up than other subjects. PS: what does TWDB stand for? I take it it's not "Texas Water Development Board". Nice to have one of those. Are they available from Amazon?